Adam is widely respected on the international and domestic speaking circuit for his expertise in customer strategy, Net Promoter®, customer feedback management, data analysis and customer-driven financial modelling. Possessing more than twenty years of experience in senior executive roles with global and Australian organizations. He is a natural strategist and has developed a deep knowledge of customer, financial and data analysis. Adam has substantial experience in NPS implementation, and started helping clients to use Net Promoter Score way back in 2004. Knowing the best way to implement NPS in real businesses is the knowledge and skill Adam can bring to your project. Adam has helped dozens of companies be successfully launch Net Promoter in their organisation via his Best Practice Net Promoter Score Implementation process. Adam understands the relationship between Customer Experience and Customer Loyalty – Clients have used Adam’s customer experience management services to design and implement customer experiences that increase customer loyalty and business profitability. He has developed an effective approach that allows you to identify the highest priority areas for change that can make the most impact, most quickly. 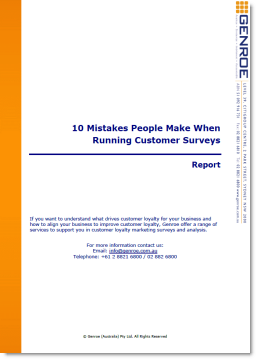 Understanding the customer is not an easy task – far from it. Thankfully Adam has over a decade of expertise in understanding and implementing the most effective strategies and processes to help you tap into the minds of your customers and understand what they really think. What is Customer Experience and why would you care?